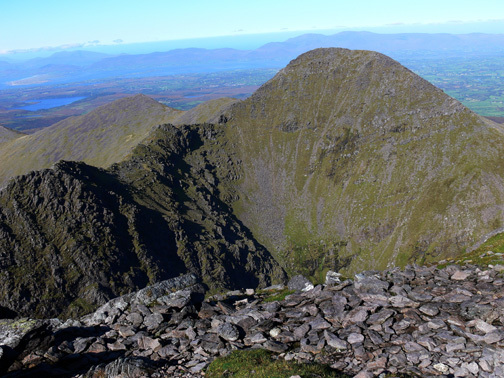 This lovely peak is the gate-keeper to Carrauntoohil. 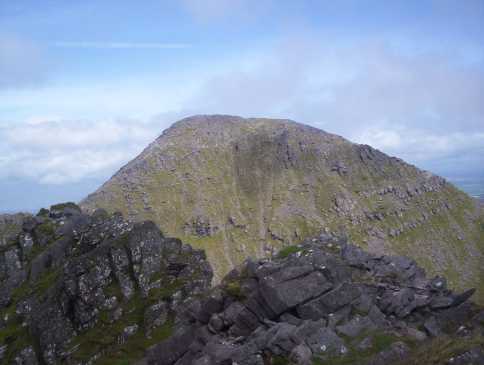 It is part of an excellent route to summit Carrantoohil via the two Knockbrinnea tops to the north east or even via Stumpa Bharr na hAbhann to the north west. Though it has quite a rocky top, there is no difficulty in attaining the summit. Getting there it is either a straight haul up from Knockbrinnea (W) or on the other side it is a delicate traverse of The Bones along the Beenkeragh Ridge from the col with Carrantoohil. The only other sensible approach is via Stumpa Bharr na hAbhann to the north west. 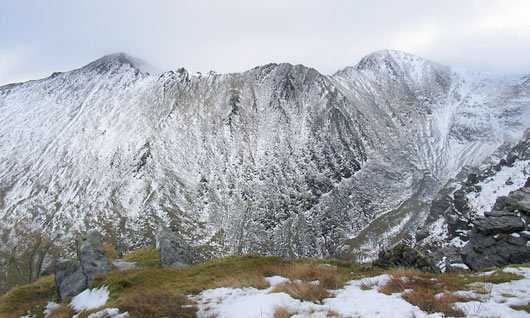 Picture from simon3 : Beenkeragh in winter. 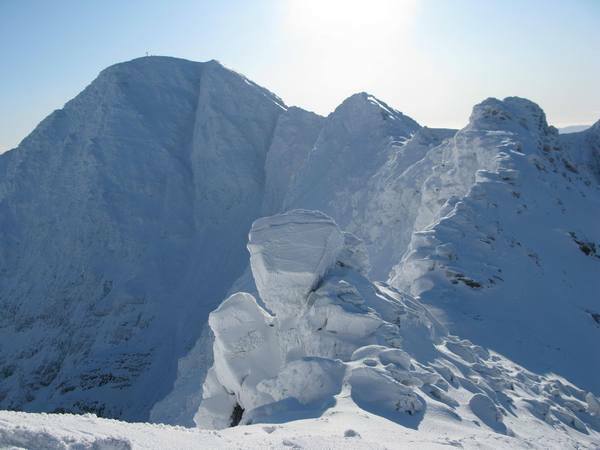 Every bump and line is picked out by the snow in this picture taken from the NW ridge of Caher West. I was very impressed with the Coomloughra Horseshoe Walk which I did in August 2000, for the second time. 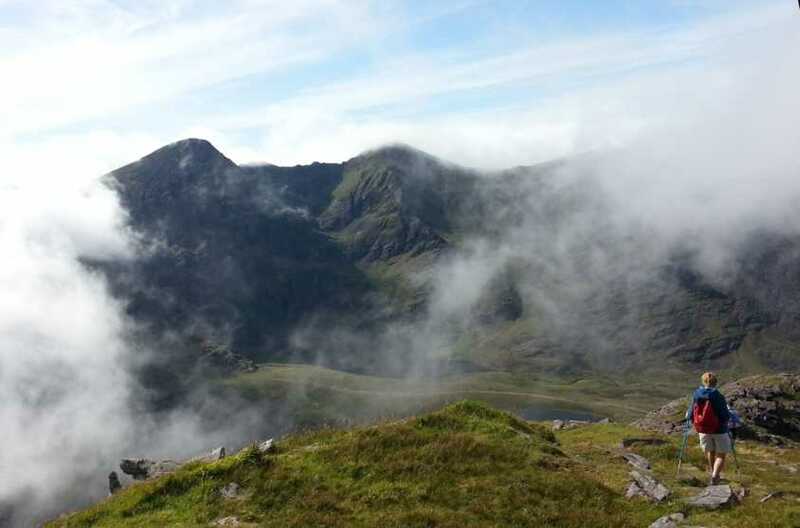 Unfortunately after Beenkeragh I encountered thick mist on both occasions and saw nothing from the ridge across to Carrauntohill and then to Caher. I was therefore delighted to see the fine pictures on the Beenkeragh site. Congratulations to the photographers.